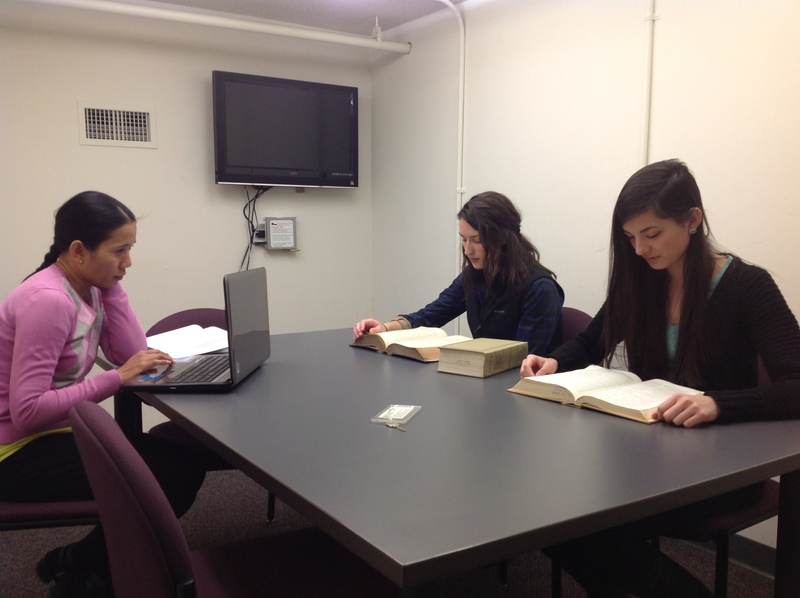 The library has eight small study rooms for quiet group study or meetings. There are three study rooms on the third floor, four on the second floor and one on the fifth floor. Study rooms may be checked out at the Circulation Desk in two hour increments and can be reserved online. The Study Rooms may only be reserved by Law Students, Faculty and Staff. See our website for more information about study room availability, reservations, and equipment.